On Tuesday, 14th, the Suriname Chefs Association organised the first Fundraising Dinner for 2014, prepared by the Suriname Culinary Team. This year the name for “tastings”, what they were known for last year, changed into Fundraising Dinner. The name was chosen because they are not exactly tastings. They are fundraising dinners; to raise funds for the team to go to the upcoming Taste of the Caribbean (TOC) in Miami, at the end of June. 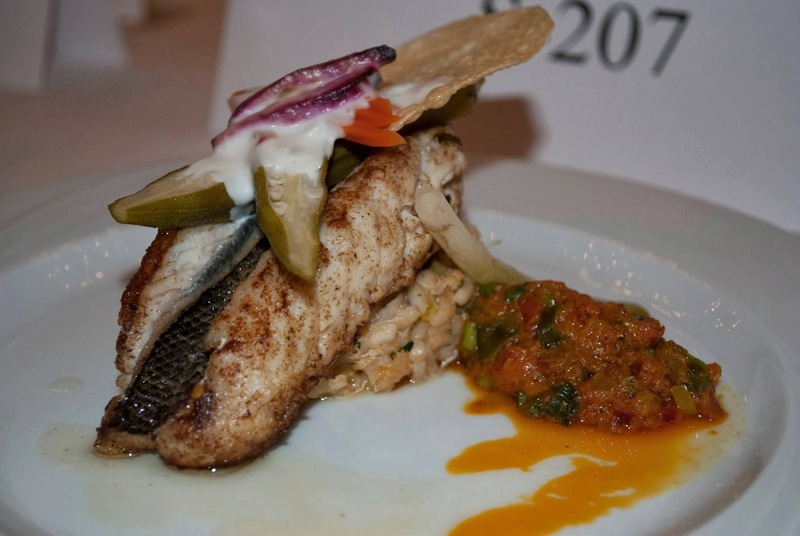 TOC is the one annual opportunity to network, polish professional skills and cheer on colleagues in competition, before a large audience of industry peers and consumer culinary enthusiasts. But there’s much more to it than that. TOC provides education and inspiration through seminars, workshops, tastings and demonstrations, created to enhance performance, style and profitability in food and beverage operations. 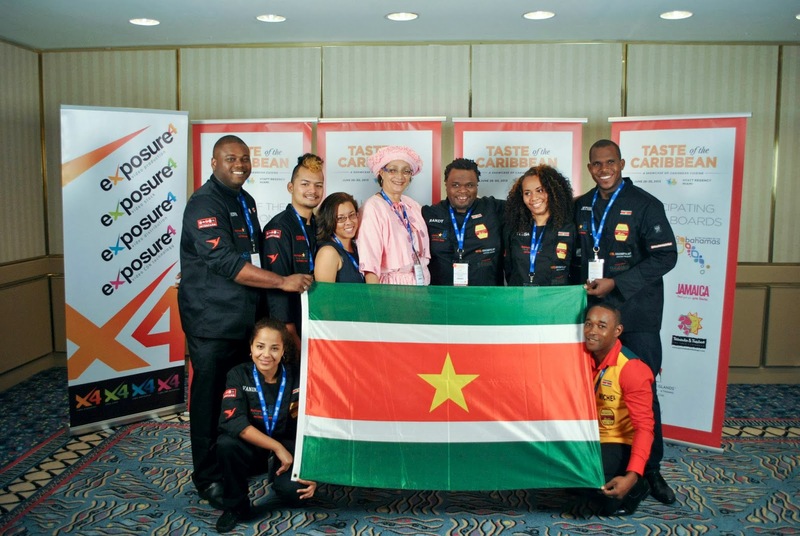 Suriname’s Culinary Team was made-up by young professional chefs, whom haven’t competed in International competitions ever. 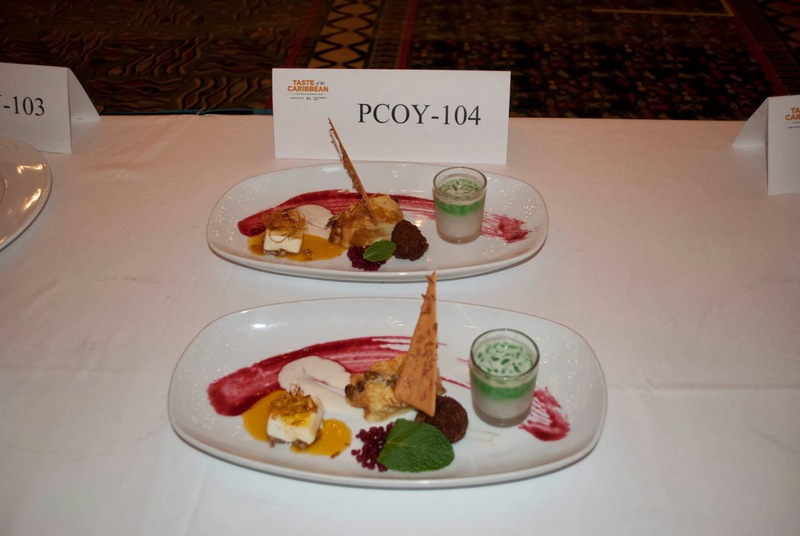 Only the team trainer had competed in the TOC, when he was only a junior chef and not for Suriname, but for Barbados. 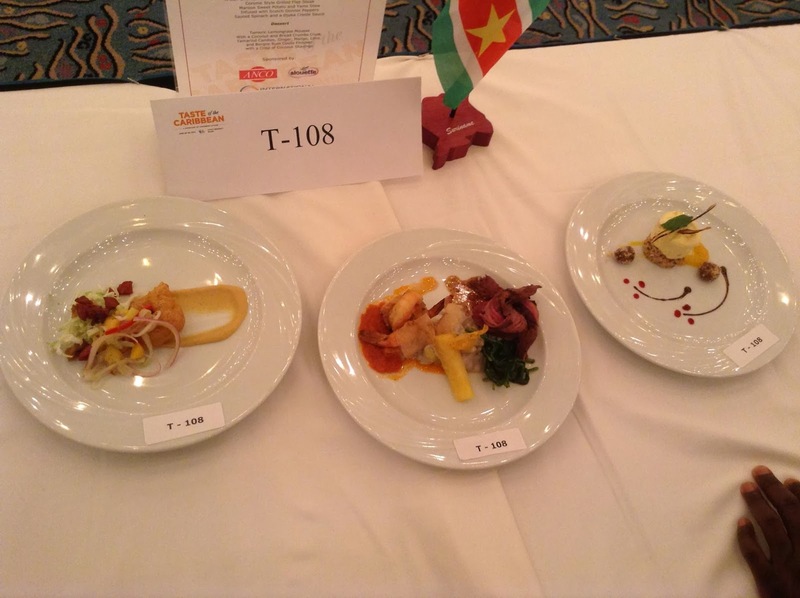 Nevertheless, the Suriname Culinary Team competed and proved that Suriname is there to stay! That even though they never competed in international events, they could stand their ground and prove their worth. As they went above and beyond to realize their goal, they came back with a whooping amount of medals. A total of 15; one gold, eleven silver and three bronze medals to be exact! 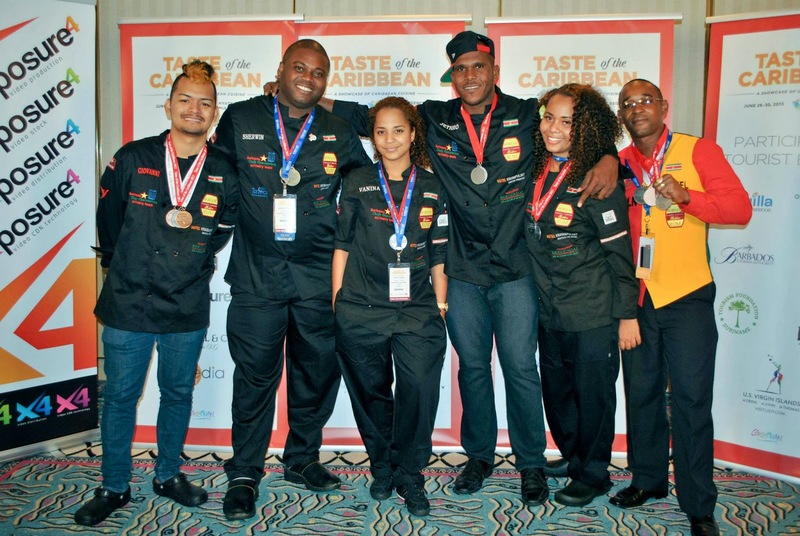 They enjoyed their time at the competition last year and are willing and motivated to proudly continue to represent Suriname at this years Taste of the Caribbean competition. 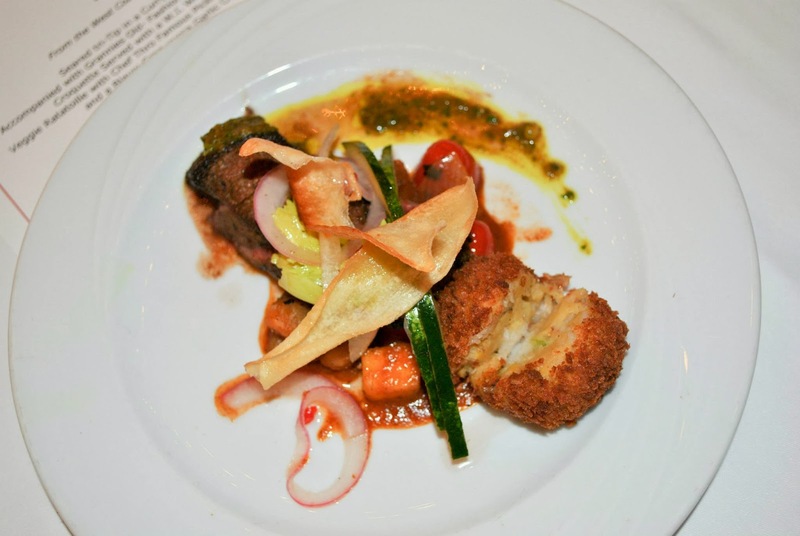 The Suriname Culinary Team is a team put together and part of the Suriname Chefs Association. Every member of this team works in a hotel or for themselves. 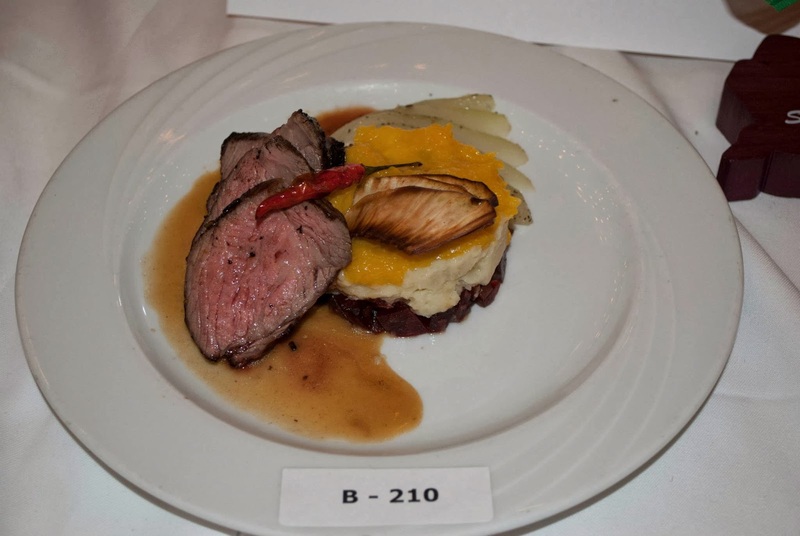 They are members of the association that provides them with knowledge to go the distance by organizing events to raise funds for sending them to the TOC in Miami or other culinary events around the world. That amount includes: registration fee for the Team competition, registration fee for the individual competitions (about 5ppl), accommodation for the team in host hotel, breakfast, lunch and dinner for every day of the event (participants must of course eat before participating and they must be healthy) and the travel expenses, ticketing etc. As the team learned last year, they should rest well, prepare well and eat well. Every morning they come together as a team, to eat breakfast, have their little meeting and prepare for the day. 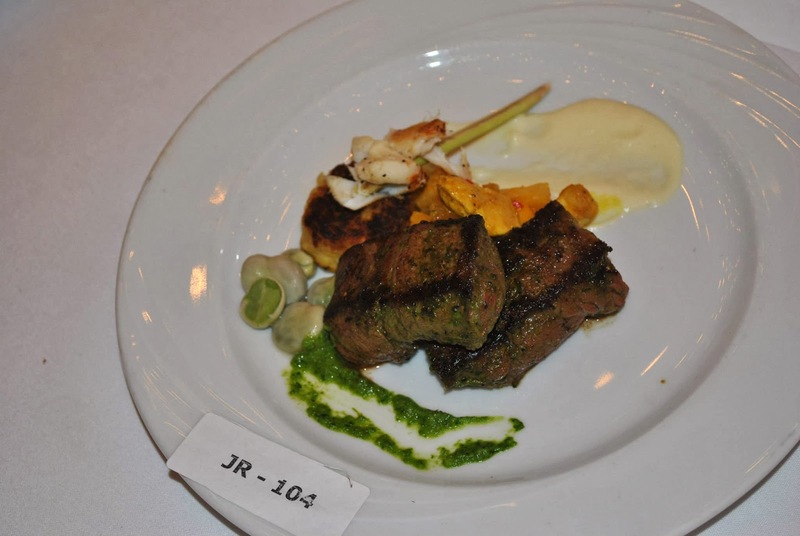 Because the amount they need to raise to participate at the event, the Suriname Chefs Association has scheduled up to eleven Fundraising Dinners. These dinners will be at different locations, Spice Quest, Courtyard by Marriott, Torarica & Krasnapolsky, on different dates of course. Every dinner is training time for the team. When they participate at the Taste of the Caribbean, they will have to cook for at least 30 to 40 people in 4 hours. They will receive a community table with ingredients, but they will also receive some mystery ingredients. During the hours up till the time of the dinner it self, the team will receive the mystery basket and start writing up a menu and preparing the dinner for the guests. Every dinner is different. They have to try new techniques, keeping in mind that whatever they do… the food must be more wonderful than the meals they prepare usually. They have to take great care in how to prepare the meals, the hygienic part during the preparations and the team’s conjunction while cooking for a room full of people with lots of expectations. They will be judged on all of those elements during the competition. 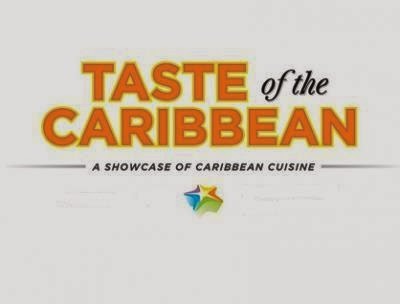 As we write this blog, we would like you to keep in mind, wherever you are and whatever you do, that you can help this team to raise the funds needed to participate and to represent Suriname in the Taste of the Caribbean Competition in Miami in June. Feel freely to contact the Suriname Chefs Association and see how you can help them out.